Forget dull blades, the Razor-Lite Folding Knife is always sharp. 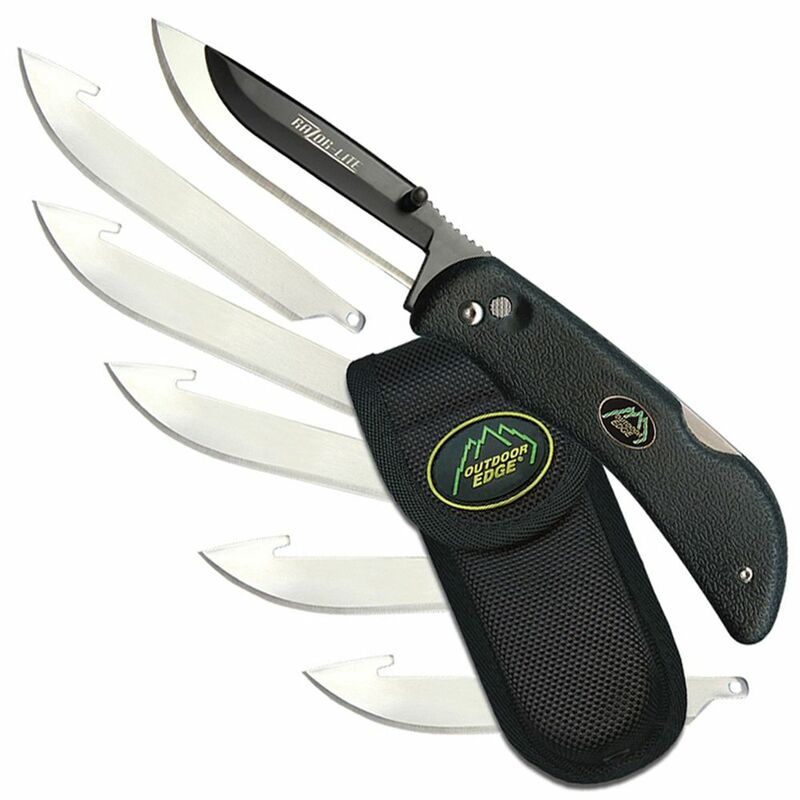 This lightweight folder comes with six 420J2 stainless steel replacement blades that can be switched in and out with the push of a button. The black handle is made of rubberized TPR with stainless steel liners. 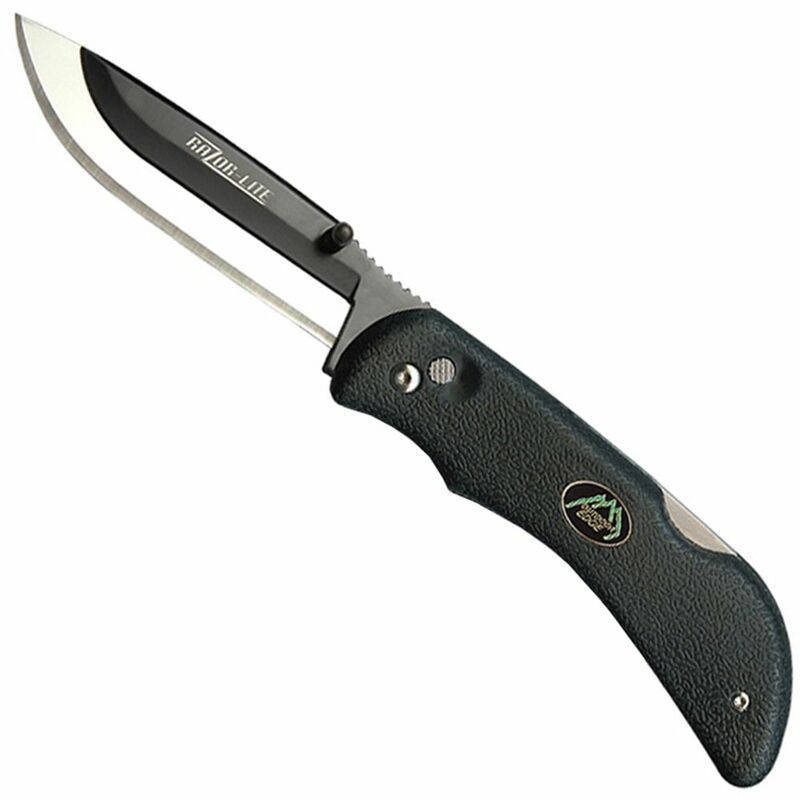 A black nylon sheath is included for easy carry.